One of many variants of industrial pressure transmitters. The measurement and control of fluid pressure is ubiquitous throughout many industrial processes. Measurements of pressure, directly and indirectly, provide real time information about what is happening in places that cannot be seen, such as inside a pipe, tank, or machine. The very nature of “process” suggests movement and change, the control of which is necessary to produce a consistent desirable outcome. 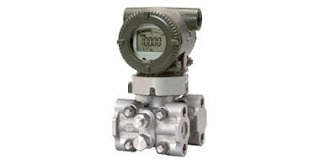 Industrial pressure transmitters employ specific technologies and physical principals to derive a measurement of process pressure, then deliver or transmit, the measured value to a controller or recording device. Explore the differing technologies and how they can be best applied to implement or improve your process. Experienced sales engineers are a useful sounding board for discussing your needs. Share you process measurement challenges with them and leverage your own knowledge and experience into an effective solution.